On Saturday, August 29th, 5 members from the KPVFC firefighting brigade attended the Into the Smoke Training Day (http://www.intothesmoke.tv/training-day) held at the West Chester, PA Fire Training campus. 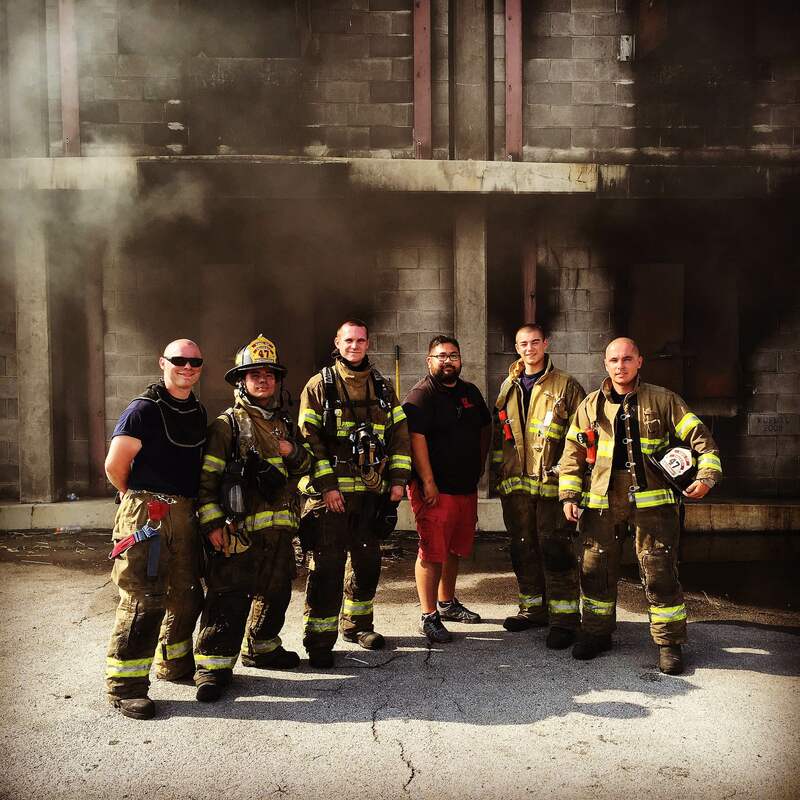 Into the Smoke started as a Web Series following some of the nation’s busiest volunteer fire companies including the Bladensburg Fire Co. (Prince George Co. 9) in Maryland, and the Christiana Fire Company (New Castle Co. 12) in Delaware. The crew of Into the Smoke has expanded to an elite group of firefighters from up and down the east coast including members from the District of Columbia Fire & EMS (DCFD), Kentland Vol. Fire Co. (Prince George Co. 33), Morningside Vol. Fire Co. (Prince George Co. 27), Christiana Fire Co. (New Castle Co. 12) and Philadelphia Fire Department to name a few. These members have come together to put some of the best aggressive hands on fire training that is available. The members from King of Prussia Fire participated in the Engine Company Operations portion on Saturday. The members went through the Heat Lab created by members of the DCFD training academy. During this exercise the members were able to watch a fire go through the entire growth stage of growth. This “lab” gave a real world depiction of what signs to look for when a flashover is approaching. Members also ran drills on running a 300′ 1.75 attack line. The afternoon was set for live burn scenarios. Members participated in aggressively stretching hose lines and extinguishing fires in basements, and other parts of residential dwellings. Each member walked away with a better understanding of fire behavior and different ways to attack fires. All these skills and knowledge gained on this day are invaluable to not only saving victims that may be effected by fire, but also how to keep ourselves safe while operating in a burning structure. The members would like to thank the Into the Smoke staff for the excellent training opportunity.